Now this days everyone uses e-mail service for there work may be its official or unofficial and many of us don't have net connection all time with us and we can't check our mail regularly or daily if we don't have net and truly i tell you why i'm posting this trick , as before 2-3weeks i needed to check my college mail regularly because of my training & placement mails so i searched that is there is any trick to have mail update on phone without net connection or Gprs in mobile. And by surfing i come to now that it was just an trifle and now i will tell you how to use this trick to get the update on mobile of mail without net in mobile. it was just a site that provides free email id for your mobile number so that you can use this to have mail updates and below i explained step by step method to use it. *. Choose new email address at this site. *. Enter Your Mobile Number and Select Mobile Carrier. *. Now Go to Gmail account and Login . *. Add New Enter Address (that u Created in this link). *. Confirm Email id Verification in this link. *. 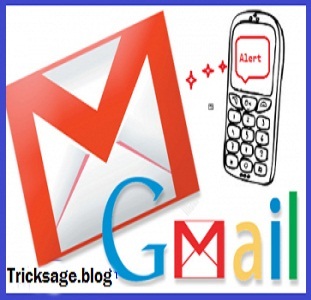 Now Receive all Gmail SMS in ur Mobile phone sms alerts. if this article is useful for you than you must join us and like us at fb page with below link. and share to yours freinds too.